Pariksith Singh, MD, CEO of Access Health Care Physicians was recently recognized with a special award from iLa. Ganeshan, a member of Parliament in India, for his outstanding contributions towards healthcare. The award called ‘Shreshtha Vaidya Seva Ratna’ award or the Special Doctor Service Award. 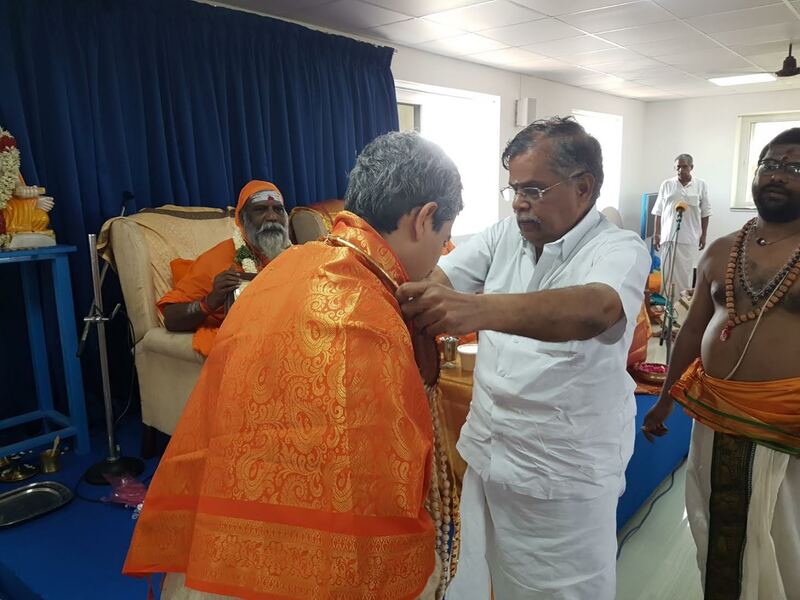 The award was presented to him on April 29, 2017, in the auspicious presence of his Holiness Swami Brahmayogananda, Founder-Acharya, Yoga Shanthi Gurukulam, Chennai, India. iLa. Ganeshan is an Indian politician and senior leader of Bharatiya Janata Party. He is at present the party's National Council Member and has earlier served the party in various capacities. Before being appointed as the General Secretary of TN BJP unit, he was a Pracharak in RSS He then served as the National Secretary and then as the Vice President of BJP at the national level. Later he was selected as the President of BJP's Tamil Nadu state unit. He is now Member of Parliament in RajyaSabha. iLa. Ganeshan is popularly known as La. Ganesan in the English media.